This article was published in Pacific College’s biannual OM newspaper. Visit our Publications page for a digital copy of the full newspaper, as well as a digital archive of past issues, or sign up to receive future physical newspapers by mail! “The most profound medicine is produced naturally—in the human body—for free!” This phrase, from The Healer Within, is the innovative foundation of a very low-cost healthcare system. There are many ways to activate, create, and maximize this profound internal medicine. By enhancing wellbeing and function, disease is neutralized or, even better, prevented. These methods were fully described in the ancient yet practical tradition of Chinese medicine. The Yellow Emperor and his master physicians compiled an entire book on mobilizing the “healer within”: The Classic of Inner Medicine or Huang Ti Nei Jing (1). Some of these methods, such as acupuncture and massage, require treatment from a licensed medical provider, for which there is a cost. Some of them require the ingestion of nourishing and functional activating substances (i.e. herbal medicine), which also have a cost. One set of methods—self-cultivation practices such as qigong, taiji, and meditation—can be used at home or in public venues such as parks, churches, schools, and hospitals for free. By virtue of this inner healing capacity, Asian medicine—both clinical treatment and proactive health protection—is a form of wellness-based medicine, mobilizing inherent capacity. This profound approach to healthcare has a multitude of positives for personal wellbeing. Why don’t professionals in Asian medical fields like acupuncture, massage, and herbal medicine make a big deal of low-cost wellness practices such as qigong and taiji? The foundational premise of healing and prevention in Asian medicine is to activate inner healing resources through acupuncture, herbs, manual therapy and, least expensively, qigong, and taiji. Based on the knowledge, wisdom, and application of Chinese wellness-based practices, individuals, families, agencies, institutions, communities, states, and even nations can easily prevent diseases that are widely known to be preventable and eliminate unnecessary medical costs—now. It is widely known that the most horrific diseases are preventable (2,3). The American wellness revolution, which had a false start in the 1970s, is now wide awake again. Recently, the current U.S. president put the words “prevention” and “personal responsibility” into the same phrase and set eight principles of healthcare that included “invest in prevention and wellness” (4). When our society looks for what to actually do about this, one of the cheapest “programs” (due to group based implementation) is Asian self-care: qigong and taiji. Buried in the controversial Affordable Care Act, which was declared constitutional by a conservative Supreme Court Justice, are numerous clauses that incentivize health promotion and disease prevention with financial benefits, and even penalties for the neglect of health promotion. This suggests that the application of qigong and taiji and all of the Asian wellness-oriented yang sheng practices will have the support of policy in coming years. The same mechanism that mobilizes healing resources through Chinese clinical therapeutics can be activated by average citizens at home for no cost, healing themselves for free as they collaborate with their integrative medical team. The citizens of any nation can solve any health crisis that is due to chronic degenerative disease through the application of personal practice of qigong and taiji, as well as yoga and meditation. It is possible for people to curtail the waste of billions of dollars annually. It is a potential bailout. The words of Lao Zi (or Lao Tze) launched me into Asian medicine in 1967, in Cincinnati, Ohio. From Dao De Jing, #10: “Can you cultivate your essential energy and sustain the suppleness of a newborn with no cares?” To me this is the ultimate health/medical insight. Is it possible that doctors—of both conventional medicine and traditional medicine—should have more questions for their clients and fewer answers? In my career, this question, and others posed by Lao Zi, form the theoretical and economic basis for the Chinese wellness-based system of healthcare and medicine. Later in 1967, I took my first taiji class, and by 1977, I was opening my clinical practice in Columbus, Ohio, a state that only recently embraced licensure. Another question that comes from the Dao De Jing, #52: “Do you practice eternity?” Questions like this are not typically a part of medical inquiry, but they point to aspects of personal awareness that can lead to healing insights offered by neither surgery nor pharmaceutical products. Those trained in Chinese medicine know, either overtly or covertly, that the medicine is in not the acupuncture needle but the patient. The job of the provider, whether doctor or practitioner, is not to cure the disease, but to maximize the natural healing capacity of the human system. In a time when we have ample evidence that nearly every form of disease is preventable, it is fair to say that the key solution to all problems in healthcare and medicine is to focus on the prevention of preventable disease. The underlying wellness basis which is inherent to Chinese medicine is rapidly becoming a prominent new feature of healthcare and medicine in many innovative initiatives, policies, and programs. Certainly, the Western conventional medicine breakthroughs in surgery, pharmacy, and diagnostics are relevant. It is however the “discovery”, probably better referred to as the recovery, of behavioral prevention and the healer within that will leave a prominent mark in the medical history of the early years of the 21st century. Awareness of the inner medicine, the inherent functional elixir, is rapidly infusing into popular culture. The profound holistic power of Asian medicine stems from its roots in two wellness principles that conventional Western medicine has neglected until very recently. The first is the “holistic ideal” of body-mind-spirit. These Three Treasures are always linked in Chinese medicine, but in the emerging new conventions of Western healthcare, they are only just becoming linked. The second is the “two medicines in one” principle of Chinese medicine. Shared with Western medicine is the “attack the disease” model. This is to kill or modify the pathogen or pathogenic factors. Both Western and Chinese medicine have excellent tools for “attacking the disease” strategies. Until very recently, the wellness basis that complements these strategies was unique to Chinese medicine and other holistic forms of medicine (i.e. Ayurvedic, native, shamanic). It is known by numerous titles; in the literature of Chinese medicine as “foster the righteous” and contemporarily as “maximize function”. It is the very essence of wellness-based medicine. Rather than attacking what is wrong, the “foster the righteous” model maximizes what is right through the tools of Chinese medicine such as acupuncture, herbs, massage, and personal wellbeing cultivation methods like qigong. This strategy refines, awaken, and activate the “healer within” or “the inner elixir”. This is the most profound medicine, naturally produced in the body. While clinically-based prevention methods such as vaccination and colonoscopies have been present in Western healthcare for some time, only recently has behaviorally-based prevention been of any relevance. As Western medicine transitions to the wellness and prevention framework, what are the primary innovations? Physical activity, anti-inflammatory nutrition and meditation. What is the key to behavioral prevention? These have been the central points of Chinese wellness, or yang sheng, for millennia. Conventional medical facilities are currently borrowing numerous best practices of wellness and functional enhancement from the Asian healthcare model. Among the most eloquent forms of behaviorally-based wellness practices is Chinese mind-body energetics. Qigong and taiji are the cousins of Indian yoga, but all are mindfulness methods. While the powerful wellness-based practices of acupuncture, body therapy, and herbs have a significant cost, qigong and taiji are pretty much free once one has learned them. While the questions about qi (energy, function) and the nature of mind (xin-heartmind) are the most interesting aspects of qi cultivation, it is the economics of personal wellness that is most compelling in our society right now. Qigong and taiji (and other mind-body practices) are the underlying solution to many of the medical cost and quality challenges of contemporary time. They are easy to learn (simple forms), easy to get people enthusiastic about, easy to disseminate, and inexpensive due to the group-based learning context. It is really very simple: people who prevent disease and activate the inner medicine through self-initiated health-enhancement practice need less clinical medicine, whether conventional, allopathic, or holistic. The science of estimating the magnitude of the savings is progressing. For now, we can say that if people prevent disease, then society (families, companies, school systems, the military) can save 70-90% of the $3 trillion annual cost of the medical system. Chinese wellness practices are most widely referenced as mind-body practices, moving meditation, and Chinese self-care. Qigong and taiji, in a multitude of forms, are now being implemented in schools, universities, faith institutions, social service agencies, hospitals, clinics, spas, retreat centers, community centers, and even the military. Over 70 randomized clinical trials (RCT) have recently been reviewed (4), finding that the mind-body wellness practices of Chinese medicine are safe and effective in treating and preventing disease and reducing risk for numerous diseases. 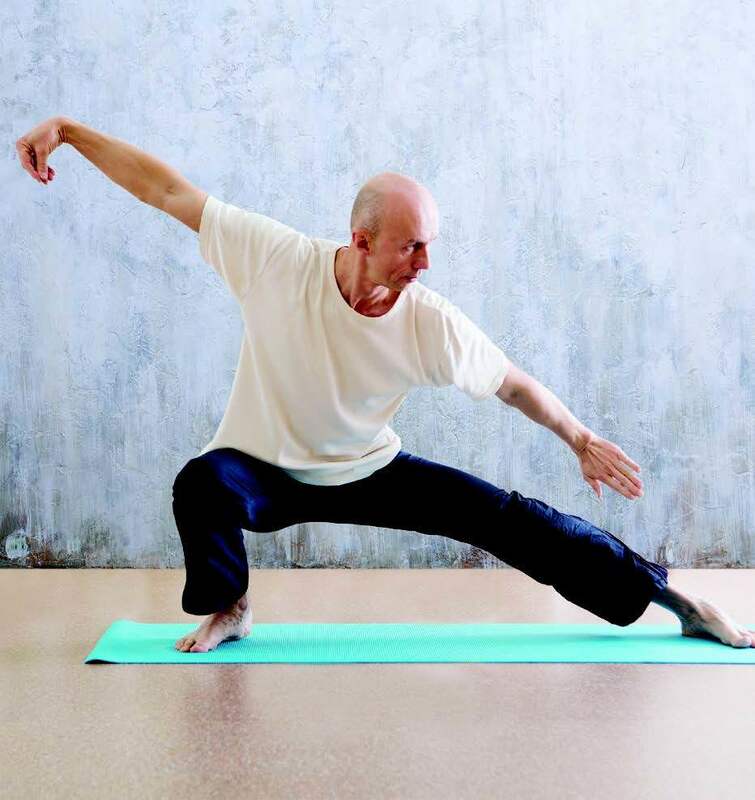 Inspired by this, the National Institutes of Health recently instituted an annual event called NIH Mind-Body Week with several keynotes on qigong and taiji (5). In collaboration with the University of Illinois, the Institute of Integral Qigong and Tai Chi (IIQTC) convened the National Consensus Meeting on Qigong and Tai Chi (6). One of many new breakthroughs is the research on gene expression and the reduction of cell death (longevity enhancement) with qigong, taiji, and other forms of mind-body practice. (7) Tai Chi Easy, a program developed especially for bringing taiji and qigong wellness programs to schools, social service agencies, the military, and veterans, has trained 300 “practice leaders” in collaboration with the National Wellness Institute at the University of Wisconsin, the Veterans Administration, several faith institutions, Asian Pacific Health in California, the Western Nebraska Regional Health Authority, and the Southern Arkansas Council on Aging. As a result, taiji and qigong are rapidly being embraced by policy makers, program coordinators, researchers, and funders. Who Will Benefit From This Paradigm Shift Opportunity? In America, sadly, the major medical, social, and economic opportunities associated with Chinese wellness have been neglected by the Chinese medicine profession itself. In personal consulting experiences, including lectures to the AMA, the American Hospital Association (AHA), and the American College of Healthcare Executives (ACHE), it appears that there is a far more robust interest in the implications of wellness in conventional medical institutions than in the institutions associated with Chinese medicine. At the Institute of Integral Qigong and Tai Chi (IIQTC), we have trained many more MDs, nurses, and physical therapists than we have practitioners of Chinese medicine. The leveraging of the natural wellness currency of Chinese medicine is more in the hands of the Consortium of Academic Health Centers for Integrative Medicine (CAHCIM) than the Council of Colleges of Acupuncture and Oriental Medicine (CCAOM). For the public this is excellent. No one cares where taiji and qigong are coming from, they just want to be sure to have access. In the past, it has probably been important that the institutions that protect and refine the Chinese medicine profession focus less on the wellness basis of Asian medicine, than the conventional methods of providing medical services and procedures within the American medical paradigm. However, it is also true that the Chinese medicine professional community is in the process of missing one of the most profound opportunities in the history of healthcare (for both service and PR). While Chinese doctors are busy acting more like Western clinical practitioners, multitudes of MDs are acting more like Chinese doctors and vigorously recommending wellness through qigong, taiji, meditation, and natural foods. These doctors must unlearn and then learn much to do this, while practitioners of Chinese medicine already have deep training in the principles of wellbeing and balance. 1) For practitioners: implement Chinese wellness in word and deed. This is all inherent to the training in “the medicine”. 2) For the institutions of the profession: make the policy decision to more overtly promote the wellness associated aspects of Chinese medicine. A major transformation in healthcare is taking place, and mind-body practice—qigong and taiji—is an essential component. The Chinese medical community is a natural beneficiary. It will require, however, that the Chinese medicine professional demonstrate the principles and promises of bona fide wellness-based medicine that flow naturally from the Asian healthcare tradition—in clinical practice, in professional promotion, and in the formation of policy. 1. Ni, MS. Huang Ti Nei Jing: The Yellow Emperor’s Classic of Internal Medicine, Shambala, Boston, 1995. 2. McGinnis JM, Foege WH. Actual causes of death in the United States. JAMA. 1993 Nov 10;270(18):2207-12. 3. Fries JF, Koop CE, Sokolov J, Beadle CE, Wright D. Beyond health promotion: reducing need and demand for medical care. Health Affairs. 1998 Mar-Apr;17(2):70-84. Dr. Roger Jahnke, OMD received Chinese medical training from traditional sources at the earliest Western schools: Tai Xuan School (Tai Hsuan in Hawaii, now the World Medicine Institute for Acupuncture and Herbal Medicine) from 1973-76 and the California Acupuncture College from 1980-83 (original root of the Pacific College of Oriental Medicine). During his years of clinical practice (1977-present), Roger has had the opportunity to become a consultant for hospitals and institutions, investigating innovation and medical cost containment. He was contracted to present both to key conventional medicine institutions as well as holistic and complementary institutions including the American Medical Association, American Hospital Association, National Wellness Institute, National Council On Aging, American College of Healthcare Executives, and Institute of Health and Productivity Management, as well as all the major TCM and CAM conferences. Dr Jahnke’s first book The Healer Within (Harper-Collins, 1997) is used by wellness programs worldwide. He later published The Healing Promise of Qi (McGraw-Hill, 2002) which immediately became a classic in the mind-body, holistic, integrative, and energy medicine literature.